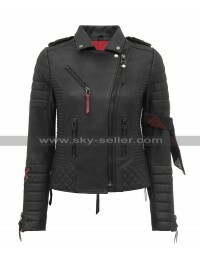 This is as stylish as it gets. 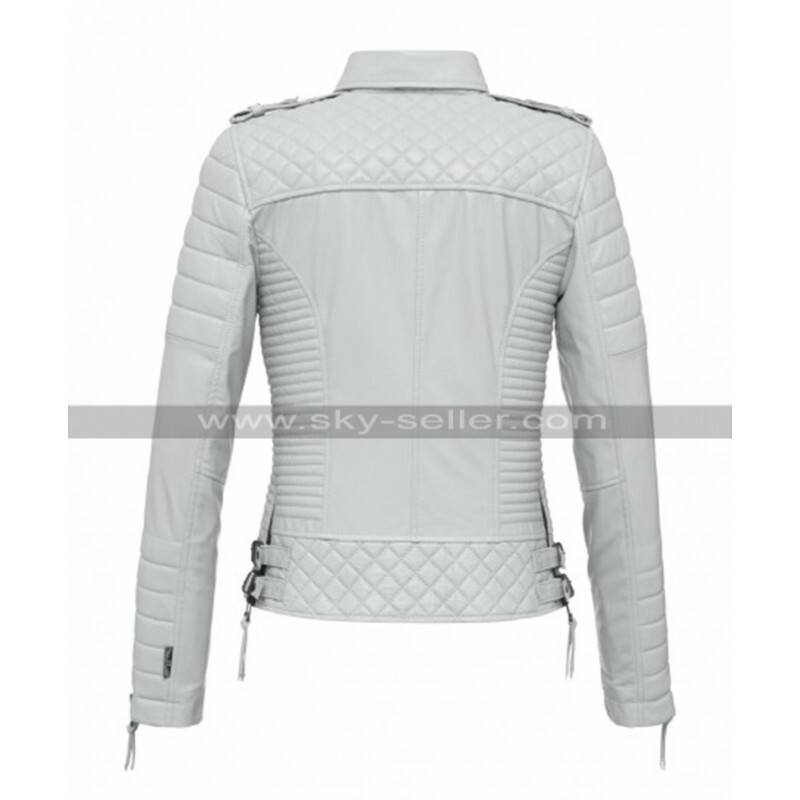 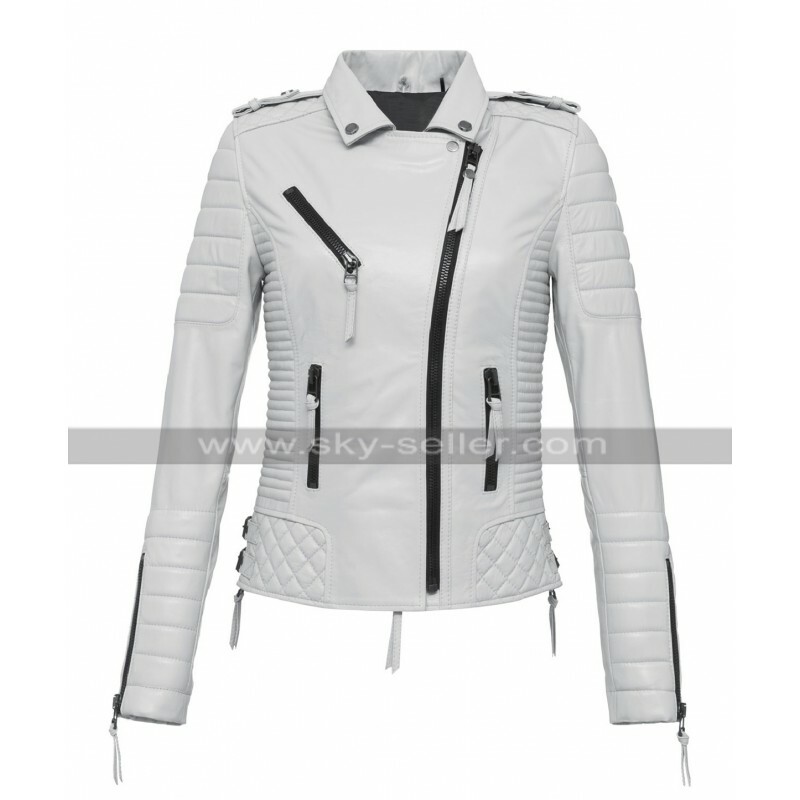 This is a slim fit white leather jacket which stands out not just because of its color or material but also because of the designs and patterns engraved over it. The jacket has a sleek and stylish look to it. 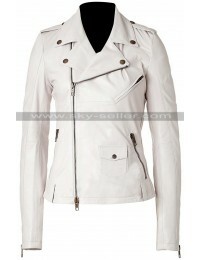 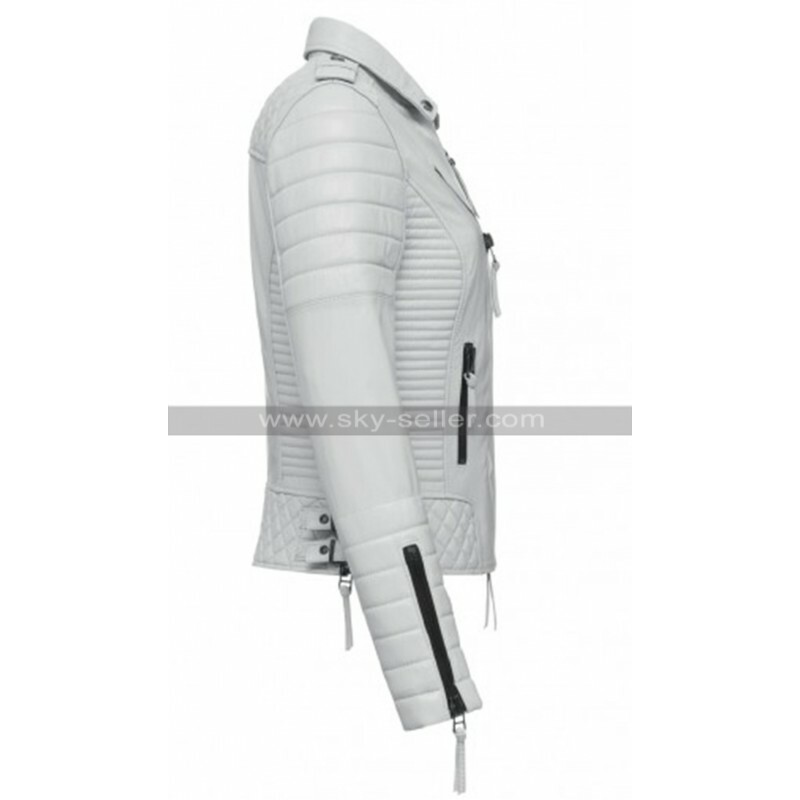 This white leather jacket has two straps on shoulders and comes in a shirt collar with a button which leads down for a full zipper closure but is designed to be tilted at the top which gives it a very interesting look. 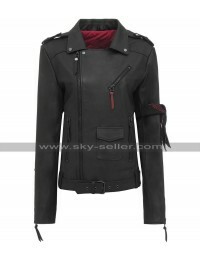 The jacket has a total of 3 pockets, two side pockets on the waist and one pocket on the upper right portion of the jacket and all have a zipper closure to them. 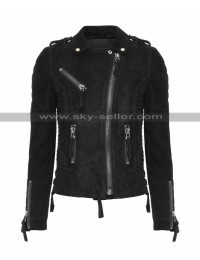 This jacket is stitched with an intense depth to every detail you would truly find this coat comfortable. 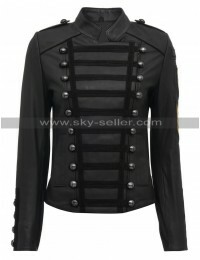 Also, you do not have to worry about the size as this jacket is available in 14 different sizes but if you are someone who wants a perfect fit or if you are not comfortable with general sizes, you can also get this coat made as per your measurements!